Popular children’s brain breaks, action and dance song, “Stir it Up”. “Stir it Up” is from the award-winning CD, “Physical Ed”. ♫ Stir it Up: Your children will love this popular action song that has become an international exercise, brain breaks and physical education HIT! It makes it easy and fun to take a quick energy brain break in the classroom. When children take a moment to sing, dance and move then they can return to their academics feeling happy, energized and renewed. More and more preschools and elementary schools are realizing the significant values of children’s music, brain breaks and exercise in the classroom. This brain breaks children’s action song, exercise and dance song is perfect for preschool, kindergarten and elementary children. Lyrics are included for ESL programs, EFL programs and early readers. 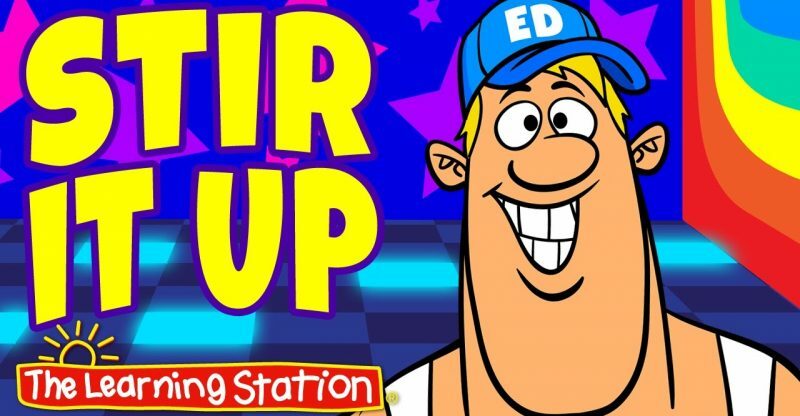 Stir it Up is a fun action song for children. 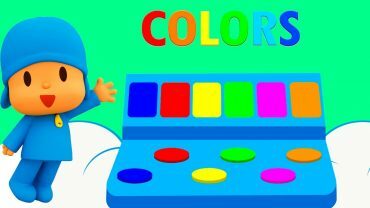 It’s a popular song for preschool and kindergarten brain breaks, exercise programs and physical education. This kids dance song is a HIT with preschool, kindergarten and elementary children. Put one hand on the top and one hand on the bottom. Grab your stirring stick now stir’em if you got’em. Gonna stir it up. Stir it up quick. Gonna stir it up fast, gonna stir it up slow, here we go. Stir it up slow. Stir it up slow. Stir it up fast. Stir it up fast. We’re gonna stir it up slow. We’re gonna stir it up quick with our stirring stick. Grab your pogo stick now pogo if you got’em. Gonna pogo up. Pogo up quick. We’re gonna pogo up fast, gonna pogo up slow, here we go. Pogo up slow. Pogo up slow. Pogo up fast. Pogo up fast. We’re gonna pogo up slow. We’re gonna pogo up quick with our pogo sticks. Grab your broom stick now sweep’em if you got’em. Gonna sweep it up. Sweep it up quick. We’re gonna sweep it up fast, gonna sweep it up slow, here we go. Sweep it up slow. Sweep it up slow. Sweep it up fast. Sweep it up fast. We’re gonna sweep it up slow. We’re gonna sweep it up quick with our broom sticks. Put one hand on the top and one hand on the bottom. Grab your stirring stick now stir’em if you got’em. Gonna stir it up. Stir it up quick. Gonna stir it up fast, gonna stir it up slow, here we go. Stir it up slow. Stir it up slow. Stir it up fast. Stir it up fast. We’re gonna stir it up slow. We’re gonna stir it up quick with our stirring stick.